In the eastern part of Georgian Bay, a short boat ride from the Wasauksing Marina and right around the imagined demarcation line between Southern and Northern Ontario, there is a large archipelago. The bulk of the archipelago is a place called Sandy Island, which spans more than 500 acres and is split unevenly between a swath of sensitive and undeveloped wetland and a sliver of valuable, boat-accessible waterfront. Though the island is now in the heart of cottage country, Ojibway people used it for centuries before it ever held a Muskoka chair. In the 1800s, the Wasauksing Band camped in small settlements on the island and fished for sturgeon off its shores. They buried their dead there, too, because "there were no bears to disturb the graves," according to one study. 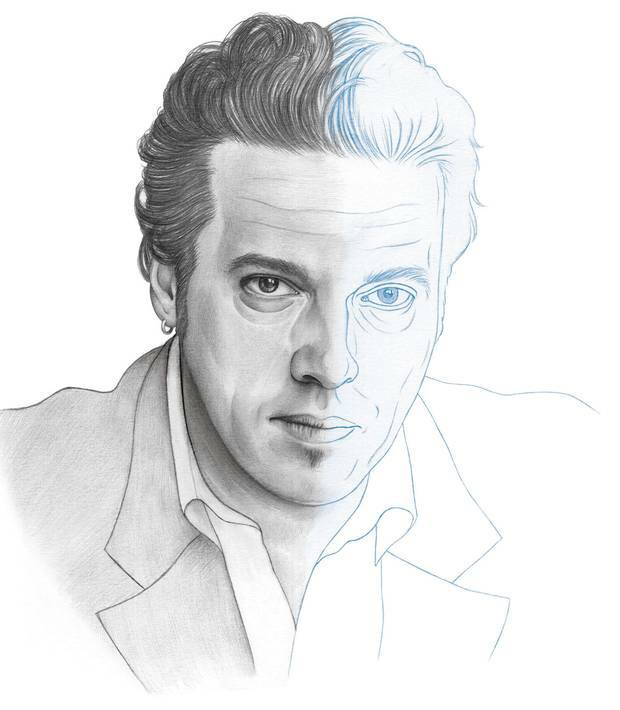 In 2005, the year his career as a writer began a steady decade-long ascent that would see him become arguably the most celebrated Indigenous author in Canadian history, the novelist Joseph Boyden bought much of Sandy Island. Boyden paid $1.2-million for what was then among the largest privately held island properties in Georgian Bay. The seller was his brother Bruce, a lawyer who had owned it since the late 1980s, but said he could no longer manage the cost of its upkeep. A third person laid claim to that land though: Wayne Izumi, professional angler and brother of TV host Bob Izumi. In a lawsuit filed in 2006, he claimed a 33 per cent ownership stake, which he says he'd been granted in exchange for helping recruit business for a hunting and fishing club that Bruce operated on the island. His lawsuit, which is still unresolved – thanks, he says, to canny legal manoeuvres by the Boydens – was an effort to claw some of that money back. In a sworn affidavit at the time, Joseph Boyden defended his purchase of the property, suggesting that his desire to keep it in the family stemmed from the Boydens' deep ties to the area, which he implied included an Indigenous heritage. "I have deep roots in the North, especially in Sandy Island, Georgian Bay," he wrote. "My late father was also deeply rooted to this part of Georgian Bay. My family continues to have a strong attachment to the Parry-Sandy Island area. Our family vacationed in the area since long before my birth, and throughout my infancy, childhood and youth… These are many of the personal reasons behind my wish to maintain ownership of my Sandy Island property." Late last year, when doubts were raised about the nature of Boyden's Indigenous identity, the messy and long-buried details of his Sandy Island lawsuit gained a renewed relevance. 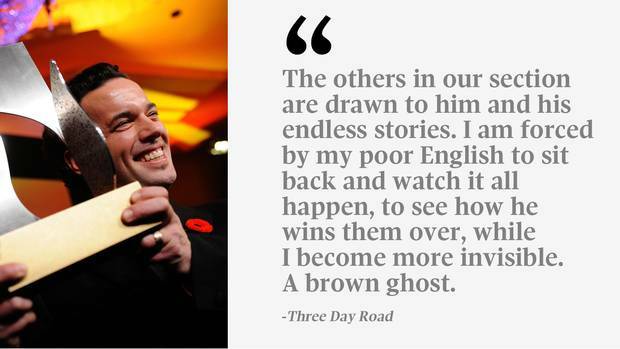 Boyden had become a sensation since the 2005 publication of his debut novel Three Day Road, based on a First World War sniper from what is now Wasauksing First Nation. 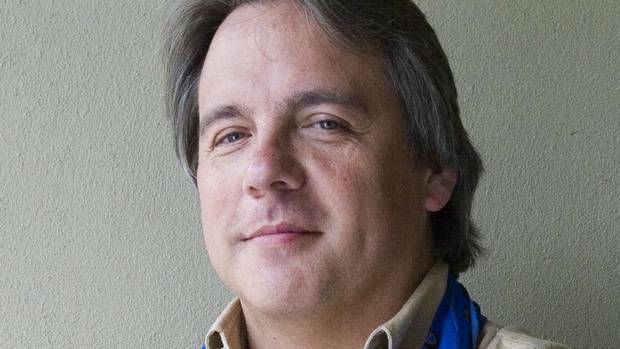 He had won most of Canada's major literary prizes, given expert commentary on Indigenous issues in the mainstream press, and become the face, for many, of the country's Indigenous awakening. He was also, avowedly, of mixed ancestry – raised in suburban Toronto by Catholic parents amidst vague family lore of Indigenous blood. In an age of reconciliation, this mixed background was an asset: Boyden came to be seen as a "shining bridge," as one Indigenous scholar called him, able to mediate between white and Indigenous, at a time when that task seemed more urgent than ever. All the while, rumours had percolated within the Indigenous intelligentsia about the handsome, light-skinned media darling who told folkloric-sounding stories about his background and filled up so many column inches and so much airtime. Who was he, they wondered – and just as important, who did he think he was? Boyden's sworn affidavit in response to Wayne Izumi's lawsuit seems at first glance to provide the roadmap toward an answer. It contains something unfamiliar in Boyden's litany of autobiographical writing: a specific claim of belonging to an Indigenous community, expressed in formal, legalistic terms. "I am Metis," he attests. "A true copy of my status card is attached." He is referring to a photocopied ID card for the Ontario Métis Aboriginal Association (also known as the Woodland Métis Tribe), included in the court file. 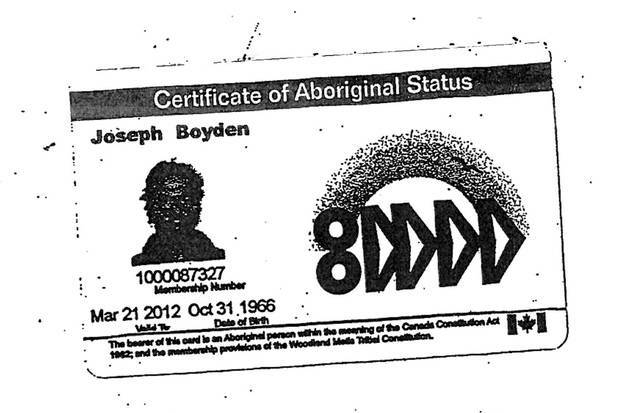 On the front of the card is a banner reading "Certificate of Aboriginal Status," above the name "Joseph Boyden," and a blurry but familiar headshot. This is Joseph Boyden as he has striven to be seen: an Indigenous man, certified with a tag of identity, spurred by his sense of heritage to preserve a culture and history that is close to his heart, even a legacy of his blood. But the story of Boyden's identity card and his connection to Sandy Island – like the story of his family's past, his route to self-discovery, and his rise to the heights of the Canadian cultural world – is far more tangled and fraught than it seems at a glance. The OMAA, for example, is a complicated and in many ways troubled organization held in low esteem by some prominent Métis Canadians for its legal and financial misadventures over the years, and its lax membership policy that does not require any proof of Indigenous ancestry. Nor does the group provide "status cards" – Indian status can only be conferred by the federal government. The ID Boyden flourishes like a trump in his affidavit is little more than a piece of paper. In 2008, Boyden sold much of the property to the Nature Conservancy of Canada, which was keen to preserve it as a provincially significant wetland containing the greatest density of rare species in Ontario. But he drove a hard bargain with the charity, requesting a $2.5-million price tag and ultimately receiving $2-million, which covered the mortgage that court records indicate he had defaulted on by then, and netted him about $800,000 in profit. 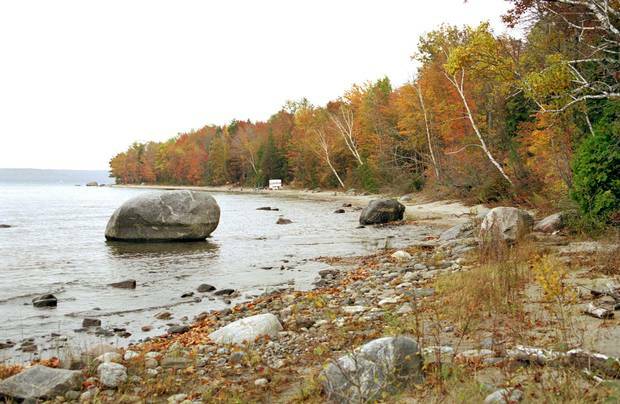 What's more, Boyden kept some of the island's most valuable 35 acres – mostly boat-accessible shoreline – for himself. This is Boyden as his sharpest critics see him: a cultural tourist flogging a dubious Indigenous identity for profit under the guise of good works, his achievement in preserving a vision of Indigenous Canada through his writing, like the preservation of Sandy Island and its Ojibway cemeteries, undercut by the shadowy tactics and self-seeking he appears to have marshalled along the way. Months of research, travel spanning Ontario, and dozens of interviews with scholars, colleagues, friends and extended family members have not yielded a definitive answer about whether Boyden is "really" Indigenous, and probably never could. In part, that is a challenge peculiar to him. Neither Boyden nor any member of his immediate family would agree to be interviewed for this article. Boyden has taken care to maintain control of his story. After deferring and eventually declining interviews for this piece, he responded this week with a brief statement that read in part, "I am proud of my heritage and I will always stand beside my friends and family within the Indigenous community." The same afternoon, he published a 4,000-word essay on the Maclean's website defending his identity claims over the years. But the real difficulty of answering the question rests with the essential thorniness of coming to grips with Indigenous identity in a country that has spent centuries trying to warp and misconstrue the very concept. This is the story of Joseph Boyden and his Indigenous identity – how it came about, how he has put it to use, and to what extent it can be credited. But it is also the story of that elusiveness – the story of how Boyden thrived by cultivating a quality that is painfully at the heart of so many quests for Indigenous blood and belonging and, in doing so, laid bare historic wounds that he had hoped to heal. His father, Raymond, was an Irish Catholic physician highly decorated for his service in the Second World War who married Blanche Gossling, a "raven-haired" beauty much younger than him. Joseph was one of 11 siblings, three of them from his father's first marriage. The family grew up in Willowdale, a middle-class suburb in north Toronto. On summer trips to Georgian Bay the Boydens befriended Indigenous kids from the Christian Island and Parry Island reserves who told Joseph local legends – most significantly, the story of Francis Pegahmagabow, the Ojibway sniper who racked up a historic body count during the First World War and later became the inspiration for Boyden's first novel. During Boyden’s childhood, his family vacationed on Christian Island, a predominantly Anishinaabe community in the Georgian Bay area. At some point in his childhood – it's not clear when; his answers have varied – Joseph became aware of family stories about Indigenous blood. The stories came to him obliquely, from relatives other than his parents. (His father died when Joseph was eight.) This Indigenous past was expressed as a family secret. "From the age of nine or ten, the woman I knew as my grandmother told me stories about my mother that, until recently, my mother preferred not to share with anyone," he said in a public statement responding to the controversy, in January. "The details are private and painful, yet my mother has been forced to revisit aspects of her past she believed were closed away forever." In any case, he considered it worth noting, later on, that he was blonde until adolescence, when he inherited his mother's black hair. An understanding of his father's ancestry came to Joseph in the same indirect way. He wrote in the January statement about his older sisters telling him as a boy that their "white-looking" father helped their "Indian-looking" uncle "hide their blood in order to survive in the early 1900s." Again, a heritage drenched in pain, trickling through the cracks of family stories. 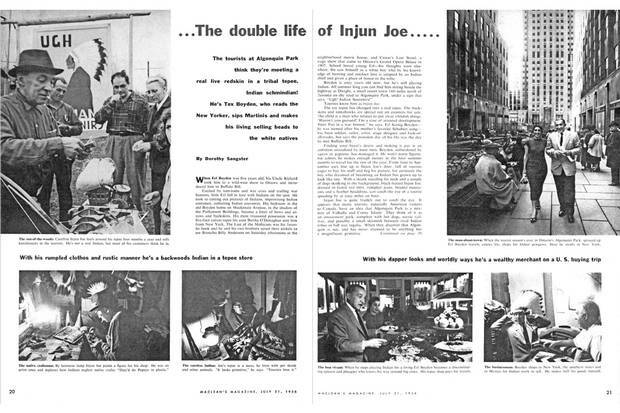 Details vague enough that for the first several years of his publishing career, Joseph gave the paternal side of his Indigenous ancestry as Mi'kmaq, a nation based in the Maritimes, before altering it to Nipmuc, a tribe from Massachusetts. Eventually, the Indian-looking uncle stopped hiding. Joseph "grew up with history and myth swirling around me, stories of my father's war exploits and my uncle Erl's Ojibwe ways inseparable," he has said. Erl, with his brown skin, high cheek bones, and aquiline nose, living in the bush, making clothes out of hide. 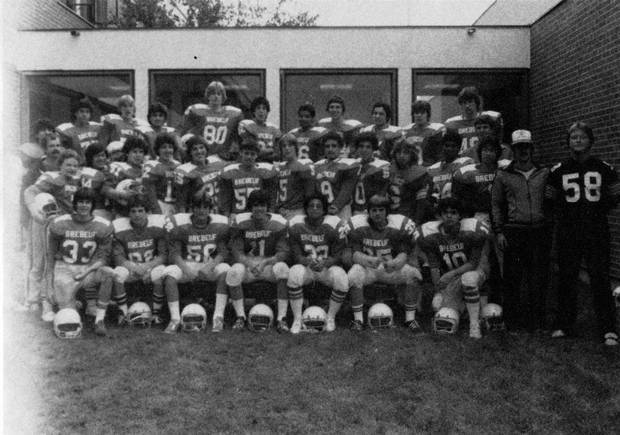 A school yearbook photo shows Joseph Boyden, in the middle row, with Brebeuf College School’s first junior football team. The second reason Joseph gave for the teenaged Mohawk was that it was a kind of unconscious bid to be expelled from his strict Catholic high school, Brebeuf College School in North York, named after Jean de Brébeuf, the French Jesuit missionary. Brébeuf was tortured to death by the Iroquois while living with and proselytizing to their enemies the Huron in the 1640s; his martyr's shrine in Midland, Ont. sits just a few dozen kilometers from Christian Island. As a gesture to assert his Indigenous identity, it is witty and allusive. The thinking is already a novelist's. 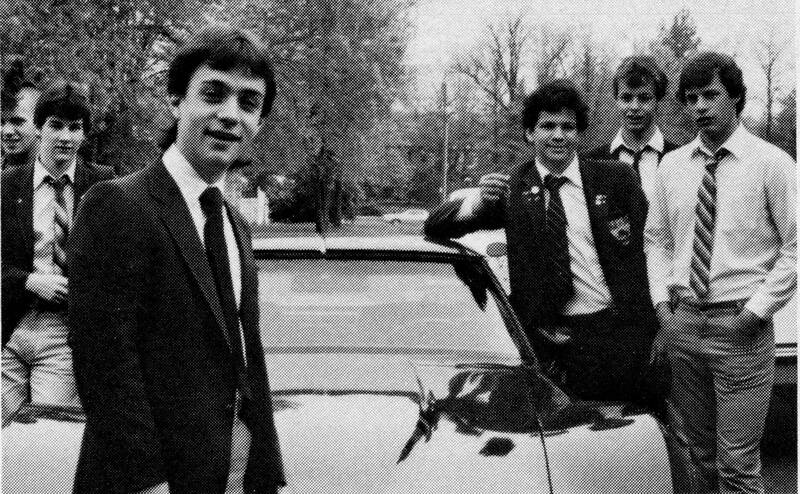 Above: Joseph Boyden, wearing a Mohawk haircut, is shown at far left in a 1984 yearbook photo from Brebeuf College School in North York's Willowdale neighbourhood. As a teen, he says, he had a kind of dual identity. In interviews over the years, he has talked about being a star high school football player, strong and popular and conventionally handsome. He has also talked about being a rageful punk, moshing at shows, taking amphetamines, and living rough in the summer on the streets of Toronto. At 16, suffering from undiagnosed depression, Joseph attempted suicide by throwing himself in front of a moving car. He survived, and fathered a son. He went on tour with a punk band in the U.S., living "hand-to-mouth" as a roadie. He got in to the Master of Fine Arts program at the University of New Orleans and all of a sudden he was attending hurricane parties. He married a contortionist trapeze artist, who was also a writer. His life, in his telling, became a carnival. All the while, the idea of Indigenous blood seemed to tug at him, and ground him in Canada just as he was pulling away. In 1990, he got a tiny press to make up 35 copies of a book of verse – it was called Songs of the Crossing; his name was given as "Josef" – and at least one of the poems, seen by a National Post reporter much later, appeared to be about a search for native roots. It was called "Tribal water carry me." In the early nineties, he began working on a novel about a young man driving around America on a motorcycle. It was at least partly autobiographical, and by all accounts bad. His early fiction was not about Indigenous people at all, but that suddenly changed in the fall of 1993. "He came in to my office with a story called 'Born With a Tooth,'" said Fredrick Barton, then director of the MFA program. "And I was just blown away. And I said to him, 'Joseph, this is your material.'" The story was about a young mixed-race Indigenous woman in Moose Factory, Ont., the white teacher from Toronto she has an affair with, and her spiritual connection to a wolf that is prowling on the edge of town. It would become the title story of his first collection. From there, the Indigenous stories came in quick succession. In Barton's workshop there was "Painted Tongue" about an alcoholic Ojibway man from the Georgian Bay area who wanders the streets of Toronto, and "Shawanagan Bingo Queen," about a widowed bingo caller from an Ontario reserve. 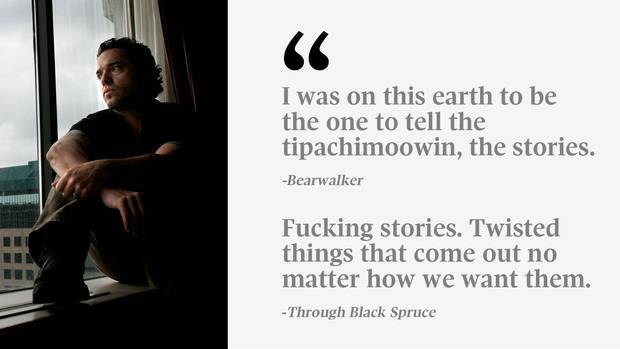 With the encouragement of his teachers, he started to see Indigenous stories as his. "He was obviously getting really excited and feeling, 'This is going to be my career, this is what I'm going to write about,'" Barton said. "The psychic identification was already very much there by the mid-1990s." No one at the school knew whether Boyden was Indigenous himself. 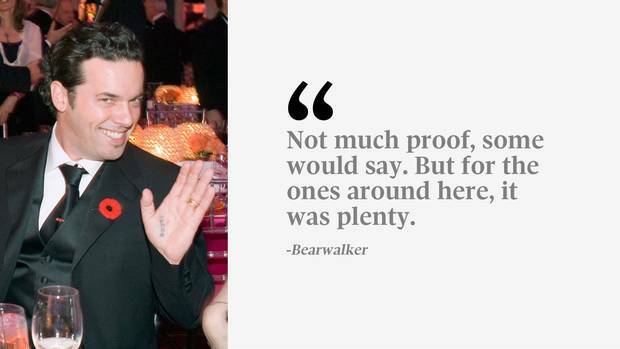 His wedding in 1995 gave a clue, but not much more than that. Held under an ancient oak tree in the city's Audubon Park, there was a Catholic priest or friar in attendance – memories differ on this score – as well as an Ojibway healer. "She offered an Ojibway prayer for the union," Barton said. "I don't know how Joseph met her. But he brought her down for that." Still, at this stage, Boyden didn't publicly identify as Indigenous. "If he was aware that he had these traces of Indian blood, it was not something that he shared with anyone to my knowledge," Barton said. "It was nothing he shared with me and I was his thesis adviser and his friend. "I think what happened was, after he left us, after he began to publish, after he started to have a following … after conversations with his family, he found that he had traces of Indian genes in his genealogy, and he got excited about this," Barton went on. "I think he claimed it out of this spirit of excitement.'" Sometimes, Boyden said that he has always felt Indigenous. "More and more over the last many years – really, all my life – I've had an Anishinaabe vision of the world," he told an interviewer in 2005. At other times, he described his identity as something he had to discover. In the late 1990s, his sister Mary was teaching at Northern College in Timmins, and told him about an opening to teach communications at the school's satellite campus in Moosonee. He got the job, part of which entailed travelling to the northern reserves up the coast from Moosonee, of which Attawapiskat is the most famous, or notorious. Joseph's time teaching young Cree people up and down the James Bay coast for those two years, he would tell the novelist Charles Foran, "put him in direct touch with his First Nations side." On his dust jackets, Boyden says that he "divides his time between Northern Ontario and Louisiana." This is the part of northern Ontario he means – the western coast and watershed of James Bay. 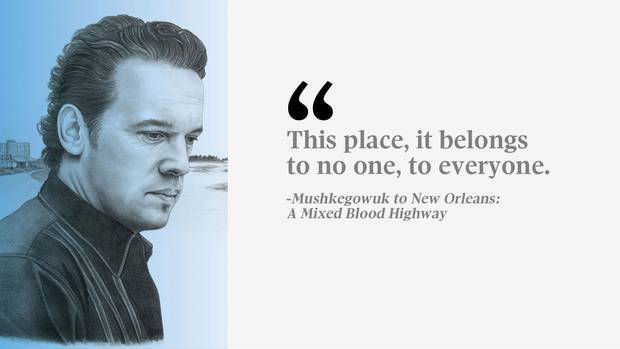 Boyden has spoken expansively about his sense of connection to the home of the Mushkegowuk, or Swampy Cree, the people depicted in three of his published works of fiction. He has called the area a sanctuary, a commons, a gathering place, and a gold mine. He has called it his "muse and obsession." In turn, he has made the area famous, at least to readers of Canadian fiction. 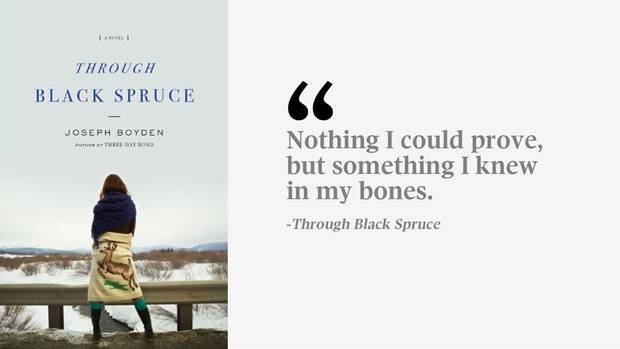 Boyden's 2008 novel Through Black Spruce won him a Giller Prize with a searingly vivid account of violence, family and loss in modern-day Moosonee and Moose Factory, the neighbouring reserve. But when he first began travelling here, in the late 1990s, Boyden was afraid of being treated "as an outsider, an interloper," he once wrote. In what was perhaps the beginning of a habit, Boyden responded to his sense of alienation by telling different people different things about his background. To his students at Northern College, he was something of an exotic – a white guy from New Orleans. When he taught nursing student Lynn McCauley in 1998 or 1999 – she can't remember which – she assumed he was just a white guy from down south. "He never mentioned anything about having any native heritage when he was our teacher," she said. "It never came up … I guess everybody just assumed he wasn't." "I never thought he was native," said Edmund Metatawabin, an author and former chief of Fort Albany First Nation, up the coast from Moosonee. "I just thought he was an interested person who came to learn about our history and our culture." One of Boyden's students in Moosonee was a young woman named Pamela Auger. Through her, he would forge his closest bond in the community, with her husband William, a renowned trapper and bush pilot, and his extended family. The family taught Boyden how to live on the land – snowmobiling, trapping marten, hunting moose. To this day, Boyden visits the family three or four times a year. Carman Tozer, William's brother, says he has always believed Boyden was Indigenous. "He's always maintained that he has a little bit of Indian blood in him way back," Carman said. "And for us, that's enough…He is part of our family – our kinship." A complicated relationship between blood and identity in the region helped give Boyden's account of buried ancestry a ring of truth here. "I'm not sure there are 100 per cent anymore – we've been in contact for so long," said Carman, who was considered a "half-breed" for much of his early life, because his father was an evangelical minister who came to Moosonee from New Brunswick in the 1950s. Moose Factory was established in 1673, one of the original trio of Hudson's Bay trading posts, and as they did virtually everywhere that the fur trade took root, relationships between white men and Indigenous women became a feature of life. The earliest records of these "country marriages" in Moose Factory date to the 1750s, according to a 2005 Department of Justice report. The local mixed-race population that emerged from these relationships often had the worst of both worlds. Not a single "half-breed" was able to rise to the rank of officer with the HBC at Moose Factory – that rank was reserved for white men. Mixed-race families weren't treated as fully Indigenous, either: A petition by the local mixed population in the early 1900s to be included on the Treaty 9 paylist – a designation that would enable them to receive government annuities – was rejected on the grounds that their way of life wasn't "Indian" enough. This long history of mixing, and its thorny implications, has made self-identification a troubled process for many in the region. Tony Tourville, a town councillor and survivor of the notorious St. Anne's residential school in Fort Albany, has long given Boyden the benefit of the doubt for this reason. "When he came here in the 1990s, he told me he had native ancestry or background or whatever. And I didn't question it," Tourville said. "I've met people who bear a striking resemblance to General Custer who say they have native ancestry." Tourville knows too well why Indigenous ancestry might go underground in a family for reasons that were neither simple nor painless. "At residential schools – I don't like to call them schools, they were more like prisons – they made you so ashamed of being native … if there was native blood in your family, you would deny it," he said. "It would become a family secret." If Moosonee's troubled history helped to ease Boyden's path to acceptance in the first Indigenous community he could call home, it also left others wary of him. Outsiders, even the well-meaning kind, are greeted in Moosonee with a steely default skepticism hardened by generations of often violent exploitation. Boyden was not exempt. In the past decade, even as he nurtured his literary fame as the bard of the Moose Cree, he came to be known in town for the limited range of his connections there. Wayne Taipale, the mayor of Moosonee and a veteran bushman of Finnish and English descent, sounds a little incredulous when he concedes that he still doesn't know the author who made his town famous. "I was councillor when he was here and I never met the man," Taipale said. "I don't think he comes around the community much. He's built himself a safe place. And that's the camp," said Edmund Metatawabin, referring to the Tozers' hunting camp about 90 kilometres south of Moosonee. "If you want to be a member of us, live with us, act like us, and work with us. And stay for a while! He's hopping around all over the place." Still, Tozers have a mixed reputation on the reserve; some community members believe that their camp is too expensive for many local kids to attend. "The Tozers, they're private sector, so they're business, business, business," said Joshua Sutherland, who works at a diner in Moose Factory. Polarizing as it can be, the question of Boyden's place in Moosonee would be academic if it weren't for the vivid and sometimes troubling picture of local life he presents in his books. First with the short-story collection Born With a Tooth, then with the novels Three Day Road and Through Black Spruce, he offered many Canadians their first ideas of Cree culture. In Boyden's work, that culture includes a deep devotion to the land, a tender and generous sense of community, and unbreakably strong family bonds; along with epidemic levels of problem drinking, random violence and family dissolution. 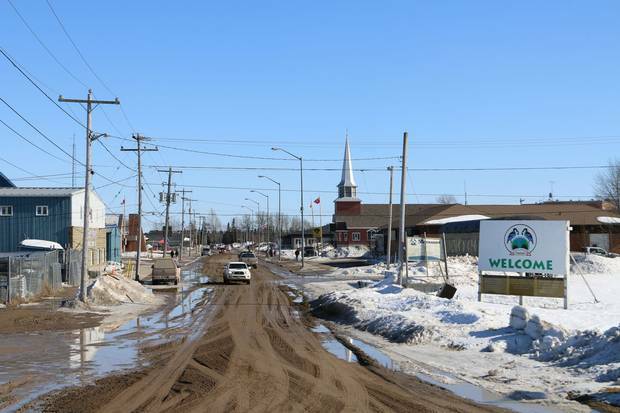 To a visitor who has read Boyden, Moosonee can feel a little mythical – an unassuming place that has been charged with magic by the attention of a powerful storyteller. You think to yourself, there's the Sky Ranch diner (a little homelier than you imagined) and the Northern Store (a little slicker). You hear the Moose River English that Boyden obviously delights in reproducing: the use of "ever" as a kind of superlative – "Ever weird, my uncle" – and the placement of qualifying pronouns at the end of sentences, as in, "I was tired, me." To many people from Moosonee and the nearby reserves, who don't see their communities portrayed to the outside world very often, his work has a darker cast. They worry that Boyden's version of their homeland is steeped in stereotypes and outdated impressions. Jeff Hunter, a cab driver, said he couldn't stand to read more than a hundred pages of Through Black Spruce, and was especially offended by a sequence about two Cree women who travel to Toronto and find themselves overwhelmed by the big city. "I found it incredibly insulting," Hunter said. "I had to throw it down." Metatawabin, whom Boyden has credited as an "inspiration," said he finds Boyden's depiction of Cree culture superficial. "It's very lean for us to read," Metatawabin said by phone from Fort Albany. "I can write a story about white people and make it passable enough so that Indians will like it." Close and unstinting chroniclers of place often end up resented by the people they portray, especially when those people feel embattled or on the margins. The Jewish American backlash against Philip Roth simmered for much of his early career and reached a boiling point with the bawdy indiscretion of Portnoy's Complaint; V.S. Naipaul, Trinidad's only Nobel laureate in literature, is celebrated and deplored in equal measure at home for his scabrous writing on the Caribbean island. But with Boyden, the sensitivity is heightened by a feeling that he is basically not of this place –and, unavoidably, by a sense of ethnic difference. Eli Chilton, a Moose Factory radio DJ, writes martial arts movie scripts and was discussing his own anxiety about cultural appropriation when he landed on the densely multivalent question that has come to hang over Joseph Boyden more than any other: "'Who do you think you are?'" In Born With a Tooth, the titular story of his first collection, Boyden handles this question with a boldness he would never again approach. In the story, he creates two avatars: Sue, the mixed-race narrator, struggling with a dual identity in Moosonee ("In grade four I learned that the name for French and Indian mixed is Métis. I always thought that made me nothing special two times over"); and Michael, the teacher up from Toronto, who's "writing a paper on the Aboriginals of Northern Ontario" and sends ragged wolf pelts by mail plane to a female friend who "loves northern stuff." In the story, Michael and Sue develop a sexual relationship – as though Boyden were trying to physically reconcile two halves: the conflicted insider and the compromised outsider. Even those who appreciate what he's done for the area know which side of the divide Boyden stands on, and know what its limitations are. As the filmmaker Phoebe Sutherland put it, sitting in the atrium of the Moose Factory community centre on a Friday afternoon as the offices were closing up: "It's time for us to tell our own stories." Boyden left Moosonee with a book in his head; he felt that it might make him successful. Much later, he would tell an interviewer: "I've felt like I discovered a gold mine, and I realized quickly, 'Oh my gosh, no one has written about the Cree of Mushkegowuk before,' and how lucky am I as a writer to have this incredibly rich territory to mine creatively." The mining metaphor was incautious in a region that has seen high tensions around mineral extraction and Indigenous land rights, but in any case, the reading public didn't immediately agree that he had struck gold. "After we published Born With a Tooth, it did not receive rave reviews, it received middling reviews – and Joseph was disappointed," said Marc Côté, publisher of Cormorant Books, which put out the collection. Not long after the letdown of his first book's reception, Boyden sent Côté the idea that would become Three Day Road – an account of two Cree cousins from the northern Ontario bush who become snipers in the Canadian army during the First World War. Côté provided a major edit on the manuscript, he says, but the book was poached by Penguin Canada, a bigger house. They expected Three Day Road to be a blockbuster, and it was: published in 2005 in 10 languages, optioned for a movie, chosen for Canada Reads, winner of the Rogers Writers' Trust Fiction Prize. Here was Boyden's triumph. 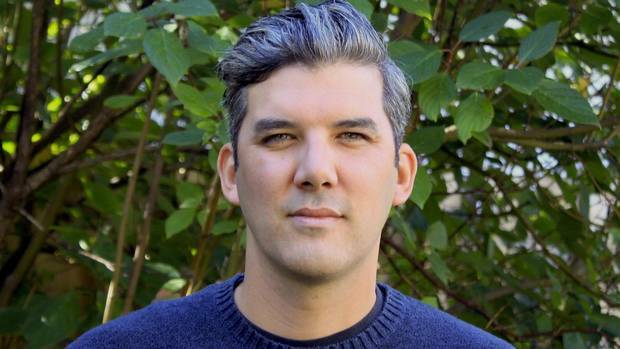 The novel's success – almost unheard of for a debut – vaulted him not just into the CanLit aristocracy, but into the national conversation on Indigenous issues. 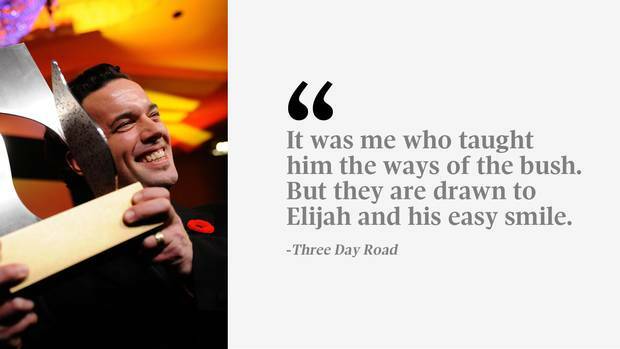 "What was the first thing he did when Three Day Road became a bestseller and a cause célèbre?" Côté recalled. "He immediately wrote an article for Maclean's about Attawapiskat." The country was about to enter a self-professed age of reconciliation between Indigenous peoples and the Canadian mainstream – the Truth and Reconciliation Commission was launched in 2008, the same year as Prime Minister Stephen Harper's apology to residential school survivors, and the publication of Through Black Spruce. Boyden was well-suited to the moment – in many ways, the perfect reconciliation man. Someone whose sensibility contained the best of European and aboriginal cultures, merged vaguely and seamlessly in the mists of time. Someone who knew the history of colonial injustice and cruelty, and never stinted bloody details in the telling, but who spoke about them in a tone more mournful than bitter, always pointing the way toward healing and forgiveness. Not for nothing did the Anishinaabe scholar Basil Johnston give Boyden the name "Waase Aazhgan" – Shining Bridge, or, in Boyden's preferred translation, "He who must enlighten." It was a daunting role, but not one Boyden shied away from. In fact he often predicated the value of his writing on the fruitful and painful admixture of his ancestry. "This is a novel about my Jesuit blood, my Anishnaabe blood, my Indian blood," he told National Post in an interview about The Orenda. "This is the novel I was always meant to write." That role as a bridge between cultures accorded him a level of mainstream cachet that was more or less unprecedented for an Indigenous writer. He was made an honourary witness at the Truth and Reconciliation Commission and contracted to help write a ballet about the same. In 2015 he became a member of the Order of Canada. 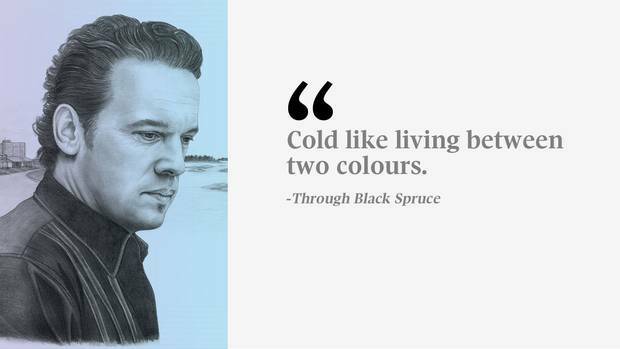 Not only did he win the big awards – the Rogers Writers' Trust for Three Day Road, the Giller for Through Black Spruce, Canada Reads for The Orenda – but he was expected to. When The Orenda, longlisted for the Giller, failed to make the prize's shortlist, Indigo, the country's biggest bookstore chain, went public with its outrage, paying for a full-page ad in The Globe to decry a decision they felt was reached "unjustly and inexplicably." Over the years, Boyden cultivated an almost uncanny list of prominent friends – Canadian icons, self-styled and otherwise – from Gord Downie and John Ralston Saul to Margaret Atwood and Jim Balsillie. Nor was the embrace limited to the country's white intellectual elite; its Indigenous establishment found a place for him too. Tanya Tagaq, the Inuit throat singer, was a friend; the writer Rosanna Deerchild gave him a cozy interview on her CBC show; broadcaster-turned-politician Wab Kinew defended The Orenda on Canada Reads. 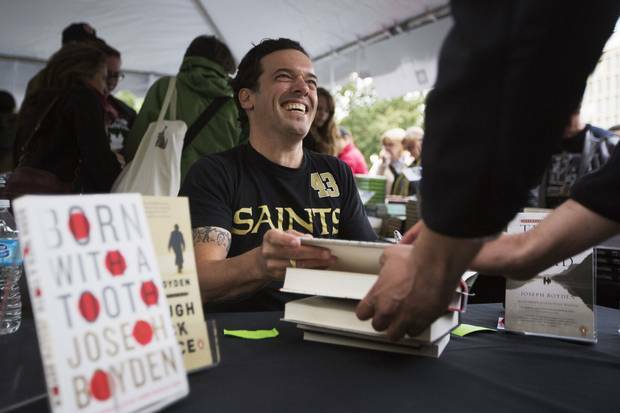 Sept. 22, 2012: Joseph Boyden signs book at the Word on the Street Festival in Toronto. In the thick of the recent controversy, Boyden even got kudos from the biggest Canadian celebrity of all. "On a personal level I have to say I'm a big fan of Joseph's storytelling abilities and his passion and compassion," Justin Trudeau said at a press conference in January, "and I certainly hope we hear voices like his and other voices in this conversation very loudly and clearly in the weeks, months, years, decades that it's going to take to create true reconciliation." How did this happen? How did Boyden become not just a successful writer, but lauded as a champion of national healing? Few deny his talent as a writer: his lyrical flights, gritty characterization, and propulsive storytelling. But for many Indigenous people, the fact of Boyden's fame has become a symbol of the neglect, incomprehension and veiled aggression of even the most well-meaning white Canadians. "The dominant society recognizes him," said Metatawabin over the phone recently. "He's cute, he's got wavy hair, he's got all the traits that they aspire to. He's got light skin, he's got a light complexion. He doesn't have any physical markers that will indicate to others that he's an undesirable being … My braids still get a lot of attention, my vest still gets a lot of attention, but you're not going to see him wearing that. Because that's not the area that he occupies. He occupies the figment of their imagination. And there's a lot of money to be made there." The Anishinaabe scholar Hayden King puts it another way: "Canadians don't want to let him go," he said. "They want him to be the voice of reconciliation." When Trudeau calls Boyden the voice of reconciliation and when King calls him the same, they are connoting very different things. In recent years, with the rise of the Idle No More movement, clangorous debates about cultural appropriation and the proper attitude toward this summer's Canada 150 celebrations, a cadre of Indigenous thinkers, King among them, has come to reject the paradigm of reconciliation. The word itself implies mutual obligation, they point out – even mutual responsibility. Of course, many Indigenous people reject the idea that they bear any responsibility for their colonization and legal subjugation by the French and British and later, the Canadian state. On a practical level, the idea of reconciliation is also thought to suggest a laying down of swords, rather than the paying of an indemnity. What Indigenous communities need, these thinkers argue, is a transfer of resources, not warmer feelings. In an interview at the height of the controversy, King accused Boyden of playing to the white Canadian hope that "maybe we can all get along if we hold hands." Beginning with the release of Three Day Road, Boyden often referred to himself as Métis, in interviews, author biographies, and in the text of his books. What he meant by this, controversially, is that he was mixed-race. While the term Métis comes from an archaic French word meaning "mixed," the word is increasingly used to mean members of historic Métis communities – that is, a cultural and political signifier, rather than a racial one. Boyden seems to have stopped referring publicly to his OMAA membership around 2008 (until his essay in Maclean's this week), but his brief identification with the group, as his star was ascending, portended some of his future troubles. The group, much like Boyden himself, sits at an uncomfortable juncture where two kinds of people intersect and blur: those with real Indigenous ancestry seeking recognition of their identity, and those with dubious claims of ancestry seeking a false sense of community or material gain. The group that would become the OMAA was founded in 1971 to advocate on behalf of Indigenous people who have mixed ancestry and don't have government Indian status. Today, the group has more than 35,000 members, according to its president Henry Wetelainen, a mining executive of Finnish-Ojibway descent. To become a member of the OMAA, applicants must fill out a short form that asks what kind of harvesting rights the person would like to claim – hunting, fishing, trapping, etc. – and which of their relatives were Indigenous, along with which treaty area the relative lived in. Though most Métis organizations require genealogical records in support of a person's identity claim, the OMAA does not. Wetalainen defended the integrity of the OMAA's membership criteria – "I think a man's word is worth something in this country today," he said – but the group's open-doors policy has left it with a shaky reputation in the Métis community. "Most of us don't put much stock in OMAA just because they don't demand any proof," said Jean Teillet, a prominent Métis lawyer and great-grandniece of Louis Riel. She is a member of the Métis Nation of Ontario, which broke off from the OMAA in the early 1990s over philosophical differences and corruption allegations. The MNO takes a narrower view of what constitutes a Métis person. Their strict genealogical standards can seem draconian and exclusionary, but their defenders see those standards as part of the Métis struggle to be recognized as a nation and a people, rather than a racial category – an argument laid out lucidly and passionately in Métis, by the University of Alberta scholar Chris Andersen. The Ontario government doesn't put much stock in OMAA membership, either. While the provincial Ministry of Natural Resources and Forestry recognizes the validity of MNO Harvester Certificates and generally does not press charges against people found hunting with them, OMAA cards are not given the same credence, said ministry spokesperson Jolanta Kowalski. As for Boyden's description of his OMAA card as a "status card," a phrase usually reserved for government-issued Indian status cards, Teillet said, "The only people who use [the phrase] are people who aren't Métis and don't know what they're talking about." Though he stopped mentioning the OMAA publically, Boyden has never quit the group. Wetelainen said that privacy concerns prevented him from saying when Boyden joined the OMAA, but he confirmed that the author is still a member in good standing. Meanwhile, the ranks of the OMAA continue to grow. "It's amazing the number of people who are coming through and joining up, trying to have that sense of belonging," Wetelainen said. Looking for a sense of belonging in Indigenous communities has a long Canadian history, with both legitimate and dubious strains – strains that Boyden has often seemed to embody, depending on the light you hold his story in. There is the tradition of impostors like Grey Owl, also known as Archibald Belaney, the Englishman who moved to Canada in the early 20th century and built a reputation as an author and preservationist by pretending to be Indigenous and adopting an Ojibway name. These "ethnic frauds" often feel a sincere identification with Indigenous cultures and can even do some good by giving them a sympathetic hearing in the white mainstream, but often distort the voice of the people they purport to speak for, and crowd out more authentic tribunes. The famous Haida sculptor Bill Reid represents something like the inverse tradition: the more common story of people who have haltingly uncovered Indigenous roots buried for generations in shame and stigma. Reid was the son of an erratic American hotelier and a Haida woman from an assimilated, Christian family. He gave conflicting accounts of his Indigenous self-discovery over the years, but the family concealed its roots from public view, according to Bill Reid: The Making of an Indian, by the art historian Maria Tippett. It was only later, when he began to find success with his Haida-style jewellery and sculpture, that Reid publicized his roots. Grudgingly and gradually, Reid earned the veneration of many Haida. The attention he brought to their traditional culture helped instill a self-respect that had been drained by generations of assimilationist policies. At Reid's public memorial service in 1998, the sculptor George Norris said, "He was not fully accepted by either of his worlds … today each would claim him as their own." Quests to find Indigenous heritage, both cynical and sincere, are becoming more common across North America. As some of the stigma of being Indigenous recedes and cultural pride swells, people who have become unmoored from traditional communities and blended into mainstream society are looking to reconnect to their roots. At the same time, as self-consciously white North Americans grow more alienated from conventional forms of identity, whether local, religious, or national, the idea of safe harbour in a remote, romantic heritage has growing appeal. "In that sense Joseph Boyden is just riding a wave," said Teillet. "These big nation states like Canada and the United States are too big for an identity that people can relate to." "If you're Ojibway," she added, "that's something you can nest inside." Claims of Métis ancestry, especially, have risen dramatically in the last twenty years. From 1996 to 2001, Statistics Canada recorded a 43 per cent spike in the Métis population, "a five-year increase that strained demographers' ability to make statistical sense of it," notes Chris Andersen in his study of Métis identity. "Five years later… these numbers roughly doubled again, producing an equally perplexing overall increase of nearly 100 per cent in only a decade." By 2011, approximately 452,000 Canadians identified as Métis. The Archives of Canada has noticed a similar trend, and intuited a similar urge lying behind it. On their web page dedicated to helping Canadians uncover "aboriginal heritage," the agency writes, "It is with pride that more and more Canadians are doing research to trace their aboriginal roots in records found in various archives across Canada. Uncovering your ties with your aboriginal ancestry can help to define your own identity." In October, 2016, Boyden seemed to be at the height of his creative powers, and attaining a new pitch of cultural sensitivity. That month, he came out with the slim volume Wenjack, a pseudo-fictional retelling of 12-year-old Chanie Wenjack's flight from residential school and lonely death in the wilderness of northwestern Ontario. Boyden and his publishers did everything right with the book. He sought permission from the boy's family to tell the story. He donated some of the proceeds to Camp Onakawana, the youth camp run by his friends the Tozers. He got the celebrated Indigenous artist Kent Monkman to illustrate. Even the typeface was deftly chosen: Huronia, whose "origins lie in the challenges of preserving the oral literature of native American languages," as the book's back page notes. When, by the New Year, Boyden's name had become a byword for ethnic fraud and cultural appropriation, his fall would appear cruelly swift, even inexplicable, to many of his friends and readers. But for those who had been paying close attention – for those who had wondered about Boyden, all along – his fall came as no surprise. "There have been questions raised about Joseph and who he claimed to be for quite a while," said Kateri Akiwenzie-Damm, an Anishinaabe writer from the Chippewas of Nawash First Nation on the western shore of Georgian Bay. "But it was really nothing that any of us individually could put their finger on." Much of the suspicion centered on the inconsistent way Boyden described his ancestry over the years. 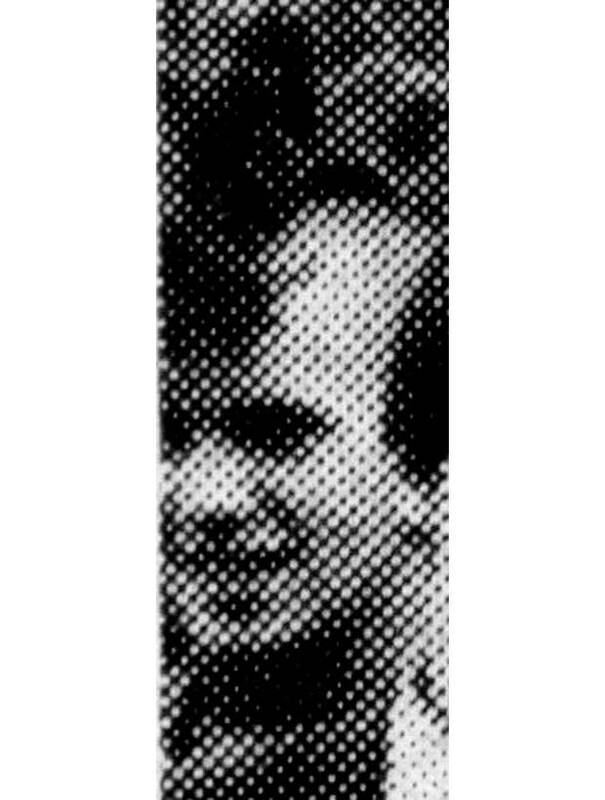 In interviews, he referred to himself variously as Ojibway, Métis, Mi'kmaq, Nipmuc, and even, once, as Wendat – without ever specifying the particular community he traced his ancestry to, a common form of identification among Indigenous people, given the traditional centrality of smaller forms of community like the band and clan. Still, said the writer Terese Marie Mailhot, who is from Seabird Island Band in B.C., "When people started to question his identity, it was only in rumour." Boyden knew about the rumours, and even addressed them occasionally – but only in ad hominem fashion, playing the same identity politics others were playing with him. " 'It's never First Nations people who say I'm not Indian enough,'" Boyden told Charles Foran for a 2014 profile in The Walrus. "'Never a woman either. Always some white guy.'" He was wrong about that, as he must have known. Indigenous men and women were more curious about his background than anyone. Around the time The Orenda was published, in 2013, the Dutch-Ojibway writer Rebeka Tabobondung had an odd encounter with Boyden. It was at a gathering for Indigenous writers at the University of Toronto, and she and Boyden were walking side by side. "I asked him, 'What nation are you from?'" she recalled. "And he said 'I'm from Wasauksing First Nation.' And I said, 'Cool, that's where I'm from.'" "I recall just a bit of a stunned silence." Wasauksing, on the eastern shore of Georgian Bay near Parry Sound, is the band that Francis Pegahmagabow – the Ojibway sniper – is from. Boyden has written about vacationing with his family in the area as a boy, and got to know members of the community through the publication of Three Day Road, when Pegahmagabow's daughter Marie invited him to a family reunion as a guest of honour. But there does not appear to be any evidence linking Boyden ancestrally to the band. "I asked a respected community genealogist … if she knew his community connection, and she said she didn't know," Tabobondung said. "He spent time meeting people and hanging out with people on his way to the cottage, at the marina. So I think that's his strongest connection." Sable Sweetgrass encountered Boyden's evasiveness around identity as a student in the MFA program at the Institute of American Indian Arts in Santa Fe, New Mexico, where Boyden was teaching at the time. During the second year of her program, in 2014, Boyden was assigned to be her mentor. But when questions of heritage came up, she says Boyden became uncomfortable and passed her on to his wife, Amanda, who is also a novelist. "I had asked him before where he was from and he had said he was Métis. And the next time I saw him and I asked him where he was from he said he was Anishinaabe," said Sweetgrass, who is from Kainai Nation, a Blackfoot band in southern Alberta. "My own feeling was that he was not comfortable with me because I asked him where he was from." Still, even as Boyden made people wonder, his doubters hesitated to make their misgivings public, in part for fear of having a chilling effect on the countless Indigenous Canadians grappling in good faith with the truth about their heritage. The country's history of breaking up cultures through disease, warfare, resource depletion, and relocation; of breaking up nations with treaties, the reserve system and the Indian Act; and of breaking up families through residential schools and forced adoption have all conspired to sow confusion about lineage and tradition into thousands of lives. "Because of colonialism, our families are filled with those kinds of stories and gaps, and really challenging, convoluted family stories," said Akiwenzie-Damm. Still, the rumours went on for years, vaguely hinting that something was up with the darling of Indigenous lit. Eventually, in the spring of 2015, they were bundled into an ominous "dossier" that purported to expose Boyden, circulated to journalists. It came in a grey envelope and contained a trove of documents about Boyden's Indigenous heritage, including information about his uncle Erl and family genealogical records, according to the media critic Jesse Brown, who received the dossier. When Aboriginal Peoples Television Network published its investigation last December, the rumours, it seemed, had found their way into the open. APTN's story laid out Boyden's "shape-shifting Indigenous identity": his identification with inconsistent national groups, the apparently fraudulent "Indian" persona of his uncle Erl, and the generally vague way that Boyden has described his background over the years. But it focused above all on his genealogy, finding nothing in the Nipmuc tribal rolls or government censuses that connected to the Boyden family on his father's side, and tracing the McInnes family line on his mother's side, which Blanche Boyden said was the key to her family's Indigenous ancestry. The story was long and rigorous, but left loopholes that couldn't be accounted for. Some details in the family records were impossible to make out because of their looping cursive script; other family members, like an apparent great-great-grandmother named Kate Ellis, could not be traced on ancestry.ca. And Boyden, who responded to the network in a written statement, refused to talk about the nature of his Indigenous ancestry, apart from stating that the family's Indigenous roots had been "whitewashed" over the years, "due to the destructive influences of colonialism," and that he and his siblings had traced their family tree together. At least two of Boyden's siblings also identify as Indigenous. Mary Boyden, who until recently worked as a "cultural emissary" between First Nations communities and the mining giant Goldcorp, describes herself as having an Anishinaabe and Nipmuc background, like Joseph, according to the transcript of a recent industry event in Sudbury. In the Sandy Island lawsuit, meanwhile, their brother Bruce alludes to his "native status, a heritage that I am extremely proud of, as are the members of my family." More recently, in the Maclean's essay, Boyden also claims to have performed a DNA test and found "Native American" DNA in his genetic profile. The social media response from many of his Indigenous critics made it clear that past evasions had exhausted much of his perceived credibility in this realm. In the same essay, he said that he had been traditionally adopted by Ojibway and Cree families in Manitoba and Ontario, and that the Tozers of Moosonee were "family." But his use of traditional Indigenous adoption as a form of validation has bothered critics before. 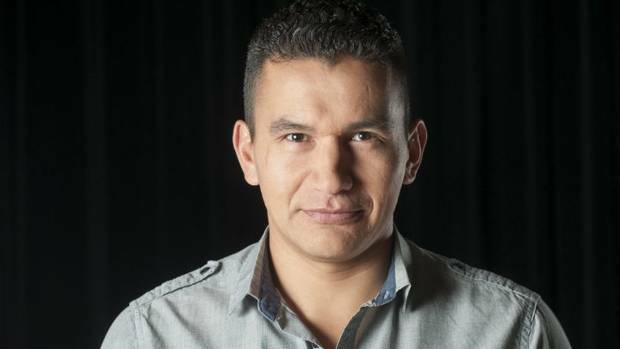 Wab Kinew noted in an interview earlier this year that being adopted into a given family doesn't necessarily make you a member of their nation. "I have been adopted into a Lakota family, and I have Lakota relatives, but I wouldn't call myself Lakota. So, I'm part of the family, I'm part of the community, but I wouldn't identify myself as part of the nation," he said. "I wouldn't even say I'm an adoptive member of the Lakota nation, I would say I'm an adoptive brother of this person. Because it's a kinship relationship." Boyden's lack of specificity, and the lacunae in his family records, left an air of inconclusiveness around the story, and gave rise to more suspicion. His insistence on discussing his story only in a traditional sharing circle with APTN's Elder-in-Residence – a demand that APTN declined – further frustrated his critics. "He's adopted language that seems to be more of a shield," said Brock Pitawanakwat, an assistant professor of Indigenous studies at the University of Sudbury. "It's hard not to think that there isn't a reason for that." The story quickly became a sensation on Indigenous social networks, where defences of Boyden were dramatically outweighed by mockery and denunciation. "I have come with a new hashtag for him," wrote one Twitter user. " #idolnomore." Absent clear answers about the existence and nature of Boyden's Indigenous ancestry, the debate around him shifted. Ancillary questions started popping up. The charge against him, which had always been there, but grew in force now, was that whatever his "blood quantum," he had taken up oxygen that rightfully belonged to other Indigenous writers – ones who had lived a more representative Indigenous life. Even since the controversy erupted, white audiences have been eager to hear from Boyden. When he spoke at an Alberta teachers' conference in February, hundreds of people attended his session. "People were just lined up to see him," said Sable Sweetgrass, who was also presenting at the conference. At her own session, on LGBT and Two-Spirit Indigenous students in the school system, turnout was considerably lower. "We had like six people," she said. "The teachers at the conference I guess were really drawn to what he had to say rather than what other Indigenous people had to say." By then, the experience had come to be known as being Boydened. Whatever minor spoils Boyden has earned as an Indigenous writer – cash prizes, speaking gigs, and the like – have surely been dwarfed by a bigger windfall: the very publishing career that has seen him sell some half a million books in Canada alone, and scoop up most of the country's major literary prizes. "I think it comes down to asking yourself, 'Would you have read those books if it was someone who had next to no Indigenous ancestry?'" said Tabobondung. "I think a lot of people would not have." Still, Boyden's record of sharing the spoils of publishing fame is mixed, as with so much else in his story. It's a record represented in microcosm by his role at the Institute of American Indian Arts in Santa Fe, New Mexico. When the school was working to launch its MFA program in 2012, Boyden lent his name to the effort, writing a letter of support that was included in the IAIA's accreditation package, recalled MFA director Jon Davis. For the next year and a half, he taught in the program. Davis acknowledges that Boyden was given contracts with the school on the understanding that he was Indigenous. He made between $15,000 and $20,000 in his time at school, Davis said. But Davis said that Boyden's work with young writers was exemplary. "He brought energy and focus to the students' work and really supported the student writers. Some very good young Native writers learned a lot from him," Davis said. That support has extended to Indigenous Canadian writers too. Boyden has blurbed liberally, gone on a joint book tour with Drew Hayden Taylor, and dropped the names of Tomson Highway and Richard Wagamese in interviews. Last June, he moderated a Toronto Public Library event honoring the First Nations authors Lee Maracle and Thomas King, both friends of his. Edmund Metatawabin, a sharp critic, acknowledges that the book deal for his memoir Up Ghost River came by way of Boyden, who, when asked by a Canadian publisher to write about residential schools, said, "'I can't write that book, but I know someone who can.'" Still, the debate over Boyden's relationship to other Indigenous writers has come to be defined by a single episode: allegations that he plagiarized parts of a story in Born With a Tooth from an Ojibway storyteller named Ron Geyshick. Boyden said in a statement to APTN that he heard the story from a man named Xavier Bird while traveling in Fort Albany in the 1990s. Later, his lawyer sent the network a letter denying he had ever plagiarized anything. The debate surrounding Boyden could seem esoteric at times, if not indulgent, at a time when the Indigenous rates of suicide, murder, alcohol abuse, domestic violence and incarceration remained far above the national averages. Terese Marie Mailhot felt otherwise. Even as the Boyden controversy divided her family, she defended the conversation, in all its difficulty. "The trouble Boyden brought to our communities is good trouble. It asks us to look within ourselves and define what being Native is," she wrote in her column for Indian Country Today, a U.S.-based website. "Some of our elders passed onto the next world in silence, because residential school hurt them beyond language, beyond articulation. They were told not to speak. So, today, when we speak so loudly and articulately about the issues of Native identity, abuse, exploitation, colonization and wrongdoing, sometimes it's ill received, discouraged, even. I say, let's keep talking." What the Boyden controversy asked, and what Mailhot applauded it for asking, was an almost impossibly large question: What does being Indigenous entail? Is it an ethnicity? A culture? A polity? A worldview? Even something like a religion, or spiritual practice? It has properties of each, often in combination, often in tension. And then, who gets to claim the mantle? Who is Indigenous and who isn't? Some emphasize blood, some community ties, still others lifestyle – and there are problems with each standard. One of the most telling legacies of colonialism in North America is the difficulty of answering the question. The word "Indigenous" generally refers to people descended from the original inhabitants of a land that has been colonized, but even that definition has wrinkles. "It's loose and has shades of grey and drives law students crazy," said Ronald Niezen, a professor of legal anthropology at McGill University. Some indigenous peoples actually oppose the idea of coming to a firm definition, lest it should be used as a " tool for exclusion," he added. In any case, the hermeneutics of the term do not ordinarily preoccupy Indigenous Canadians, who, asked to describe themselves, will tend to use more concrete categories of identity. First they will usually name a band, like Wasauksing or Beausoleil First Nation. Bands are the basic unit of Indigenous self-government, and usually comprise a reserve. The federal government recognizes 618 First Nations across Canada, a clue that they do not operate very much like nations in the ordinary sense of the word. First Nation populations generally range from a few hundred to a few thousand, and often have large chunks of their populations living off-reserve. Nor are First Nations, as they're currently constituted, an especially traditional form of self-government. In fact, the federal government sets out myriad rules for how bands have to operate, including mandatory band council elections. Still, these are the communities that many Indigenous people most identify with. Boyden's lack of identification with one produced a level of confusion and consternation that was little understood by mainstream observers. In the eyes of the federal government, these relatively fine gradations of identity disappear into the monolith of Indian status. The original Indian Act of 1876 granted status to "any male person of Indian blood reputed to belong to a particular band," the children of such men, and any woman who was married to one. For generations, the federal government tightened the criteria in any number of inventive ways, from the rule, struck down by legislation in 1985, that women who married non-Indian men lost their status; to "enfranchisement" policies that took status away from Indigenous people who graduated from university or served in the military. The government's interest in limiting its obligations to Indigenous people and the interests of band members in limiting the division of their scant resources were frequently served by keeping people out rather than letting them in. This added another layer of manufactured rancor to the process of determining inclusion in Indigenous communities. To help establish Canada's first centralized Indian registry in 1951, for example, the federal government posted band lists in Indigenous communities so that people could protest the inclusion and exclusion of names they saw there. The idea of focusing on whether someone is a status Indian or even "native," per se, rather than what nation they belong to, is increasingly seen as retrograde by progressive Indigenous thinkers. Asking someone like Boyden if he's Indigenous is like asking if he's European, they point out – not totally pointless, but imprecise. More and more, there's an emphasis on smaller units of sovereignty that both reflect historical realities and serve contemporary political ends like consultation on local resource projects. "If you start to view us as nations, you have to start acknowledging that we have civilizations, and then the colonial project becomes much harder to justify," said Wab Kinew. The uphill battle to reassert traditional forms of community has added to the frustration many Indigenous people feel about the vague and shifting way Boyden has described himself over the years. 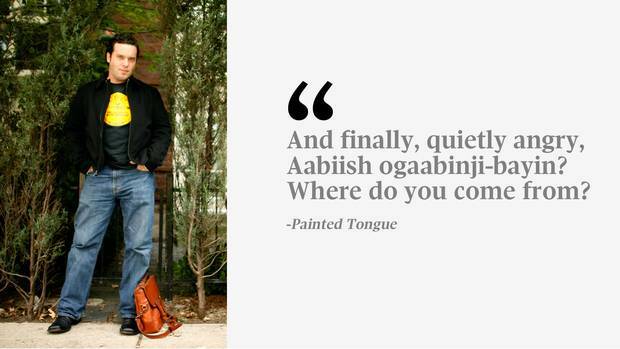 "My question to Joseph Boyden is, 'What nation are you part of?' Not whether you're Indigenous," said the Mohawk scholar Taiaiake Alfred. "If it's all self-identification and something people feel and grasp onto based on their reading of history or stories, how the heck [are] you going to police that? And I'm not saying policing is what's needed here, but the right to determine membership in their communities is a fundamental right of Indigenous nations." The existence of culturally adrift Indigenous people – for example, those who were adopted out of their communities during the Sixties Scoop – presents a challenge for those who emphasize membership in a nation as the acme of Indigenous identity. But Alfred argues that there are ways to surmount that challenge without resorting to circumlocution and deflection, as he believes Boyden has done. The colonial emphasis on keeping track of Indigenous people has gifted Alfred's home reserve of Kahnawake with tribal records going back to 1720 that can be consulted to establish a claim of membership, he notes. "The need to reconnect people and bring people back is absolute," he said. "But through Indigenous governance, not someone's whim." Lying at the heart of Alfred's contrast, and at the heart of so much discomfort with the way Boyden has presented himself over the years, is a deep, basic gulf between the broad European and Indigenous notions of identity formation. The "Western" paradigm of self-actualization, of creating one's identity through a process of lonely soulful questing, is to a certain extent incongruous with the North American Indigenous tradition of forging identity through community sanction and reciprocity. For many Indigenous thinkers, the idea that someone would claim to feel Anishinaabe or Métis, and that others would put stock in that feeling, is nonsense. "A person can't self-identify as Indigenous and claim to take that on," said Alfred. "That simply doesn't exist in [the] Indigenous worldview. It's about relationships – relationships to land. To a people." Blood is not the sum total of Indigenous identity – it hardly takes a scholar to know that. There are more meaningful ways of belonging to Indigenous communities, as to other communities. Nevertheless the atavistic pull of blood still exerts a powerful force for many Indigenous people – a majority of American tribes still use "blood quantum" to determine citizenship, and in northwestern Ontario, Fort William recently became what is thought to be the first Indian Act band in Canada to accept non-Status members. Boyden has not been immune to the attraction of ancestral thinking. In putting forward his claim to an Indigenous identity, he has leaned heavily on the language of bloodline. "I truly believe in something called blood memory," he said at a panel discussion in Toronto in early March. "I truly believe that when I sit and write, when I sit and create, something comes to me, and I just have to trust that voice." For all his emphasis on the importance of lineage, Boyden has assiduously avoided discussing his own – not just with journalists, but with members of his family. Rosemary Burgess, his mother's sister, and Robert Gossling, her brother, both say they're in the dark about their family's purported Indigenous background. "It was all news to me when this came out," Mr. Gossling said from his retirement home in Barrie, Ont. recently. "I would say maybe I was shocked that there was some native blood somewhere along the line, because it had never been discussed before. "I've never discussed any of that with him." 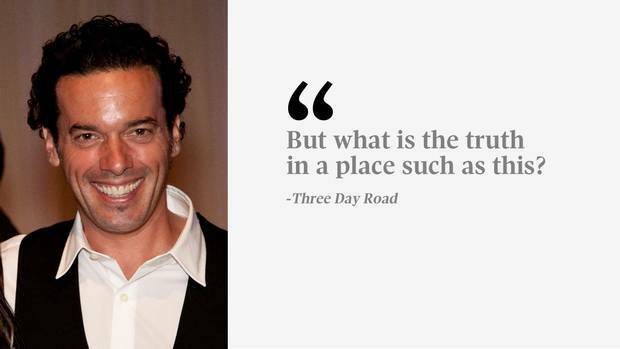 Since the controversy around his identity cropped up, Boyden has had a chance to establish "the real truth" about the background he has made so much of, and made so much from – the Indigenous background that made him a shining bridge between worlds. Months on, his confusion, and the confusion he has sown, about the proud and terrible and maybe redemptive history of Indigenous identity in this country has laid bare the size of the gulf that any shining bridge will have to ford. "I'm a storyteller," Boyden said at the panel talk in March. He was discussing his novel The Orenda, but the words glowed with autobiography. "You would think writing a historical novel would be quite easy, because you've got A, B, C, D, and E – it's laid out there for you. History's obviously not that simple. And history is usually through the eyes of the conqueror." Hayden King: Joseph Boyden, where are you from? When the harmful effects of ethnic fraud are taken together, playing Indigenous should not be ignored or excused but exposed. Wab Kinew: There is room in our circle for Joseph Boyden There is room in our circle for everyone, even those who do not behave as we would like. We love one another because it frees our hearts from hurt and allows us to embrace the goodness in each of us. Drew Hayden Taylor: The Boyden effect and defending my ‘tenuous Indian background’ Control of who is allowed in and out of our circle doesn’t mean we have to interrogate each other. Frankly, I don’t have the time. I am too busy celebrating our community.